I’ve spent a lot of time thinking about the ways the life of Jesus bucked convention. His birth and upbringing, his passion, death, and resurrection. let alone his passion, death, and resurrection. Te irony, subversion, and poetry of Christ’s story is precisely what I find so compelling. My name is Paul and this is how it is with Jesus. 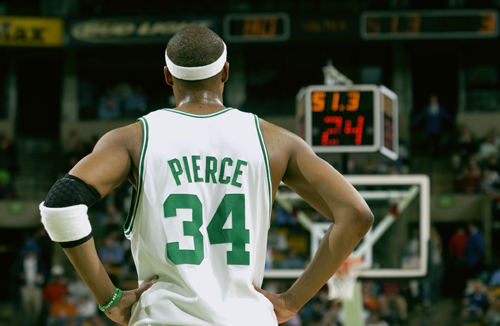 My name is Shaquille O’Neal and Paul Pierce is the truth. Sometimes that’s how I feel about the poetry of Jesus’ story. Whatever else, that poetry’s the truth.